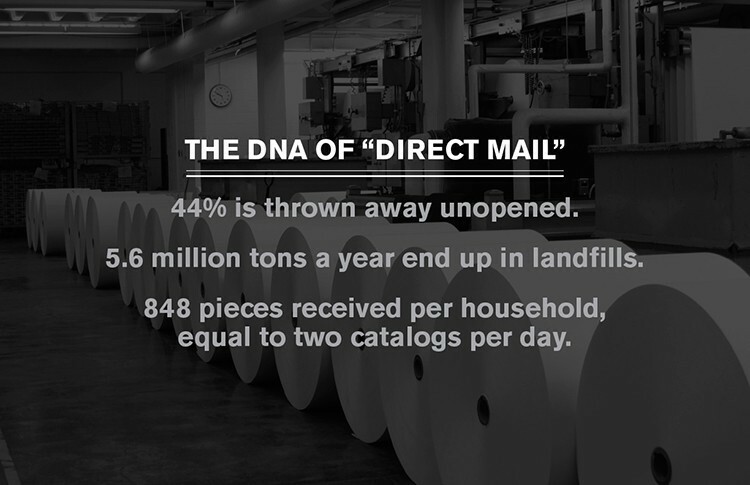 $370 million is spent annually in the US on direct-mail efforts. the waste, and the low conversion rate vs. cost begged for an alternative, smart, and effective solution. 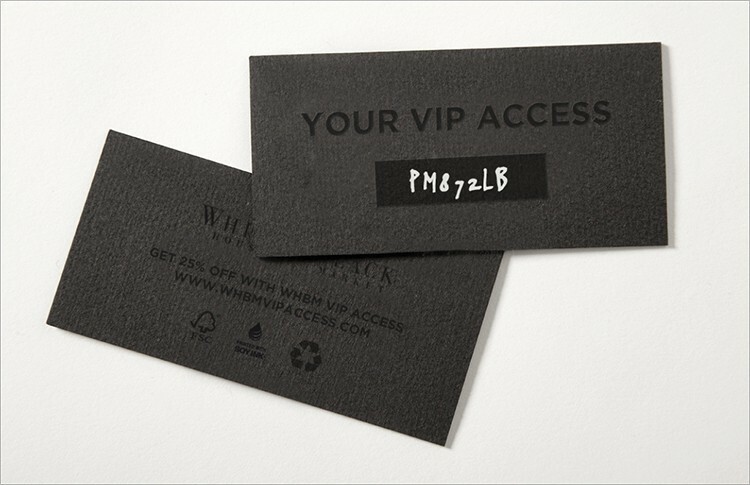 the target consumers will receive their VIP access card in the mail with individual codes to the website. what is exciting here is that instead of a printed catalog, you will be presented with a live action video, a retaik catalog if you will, of our top-model and brand ambassador, coco rocha. not only showcasing the clothes, but also entertaining you with 360 views of the garments and how they actually sit on the body in motion. 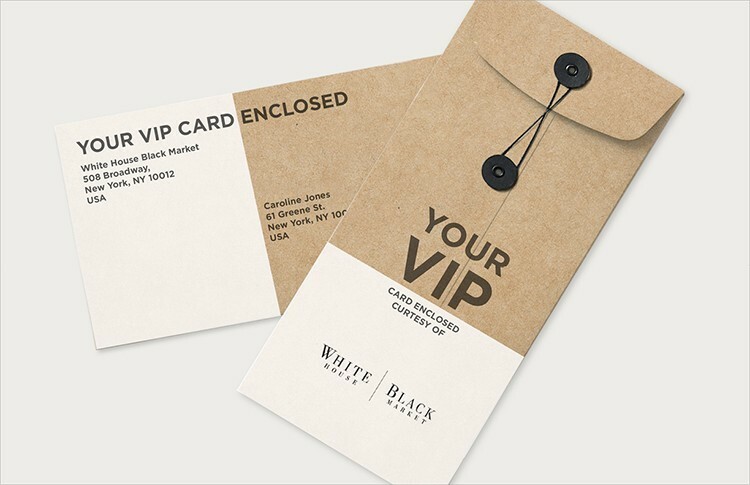 the VIP cards are linked to a new rewards program, where users accumulate point that can translate into purchases. 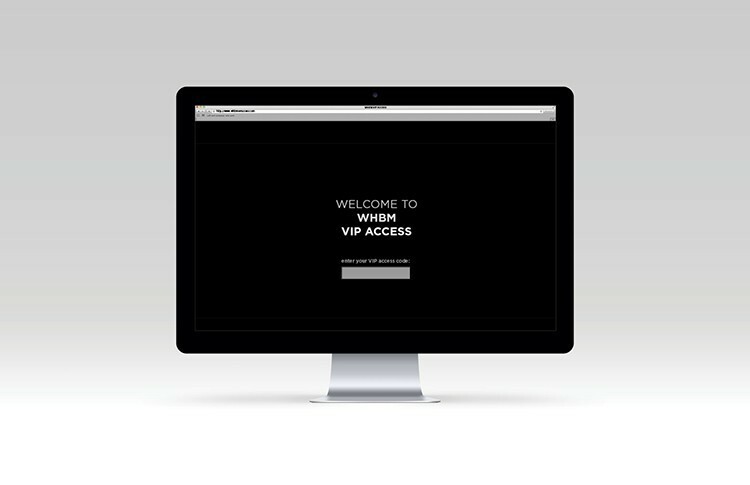 once logged in, you are automatically in the reward program and led to creating your username and password upon your initial purchase. upon logging-in, you are immediately presented with the interactive dance video. 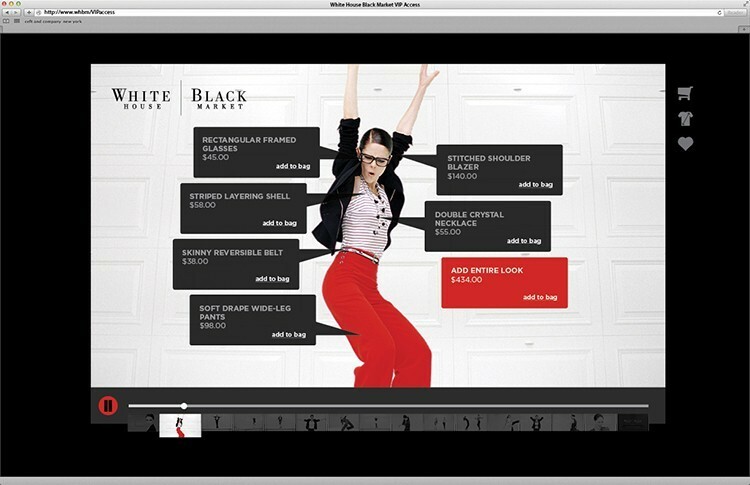 digital fashion lookbook: the user can scroll back and forth on the thumbs below the dance video (each thumb representing one full look from the seasons collection). the user can pause on certain “looks” that may be of interest to them. 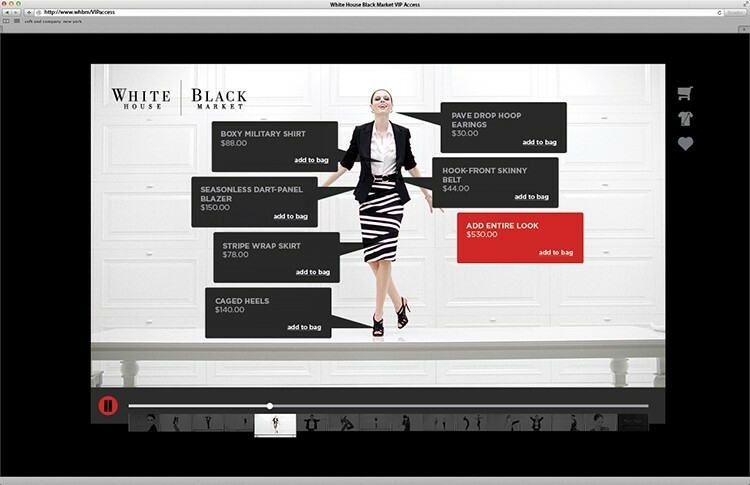 in pause state, the static image will display individual items by name and price, and can simply be added to the shopping cart (black boxes) or you can choose the “add entire look” (red box) and later delete items (i.e. glasses) if you choose in your shopping cart. the user can continue to view the entire collection live and in a fun and entertaining manner. 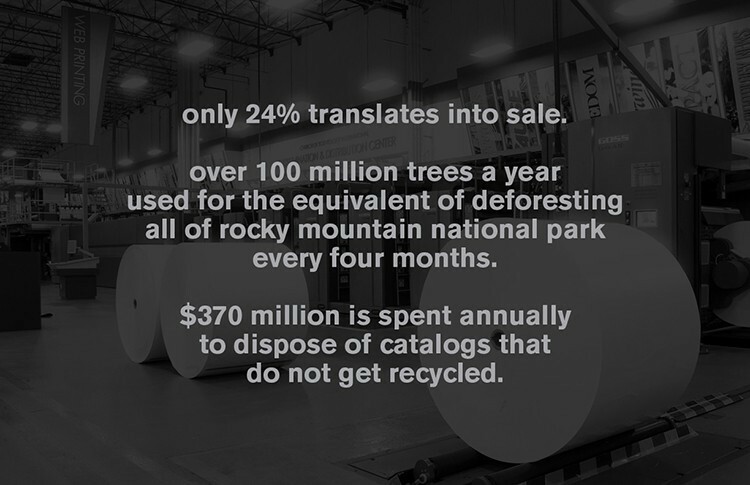 this solution is not only an environmentally sound option that saves postage and paper, it’s a much easier and visceral way to buy garments online. 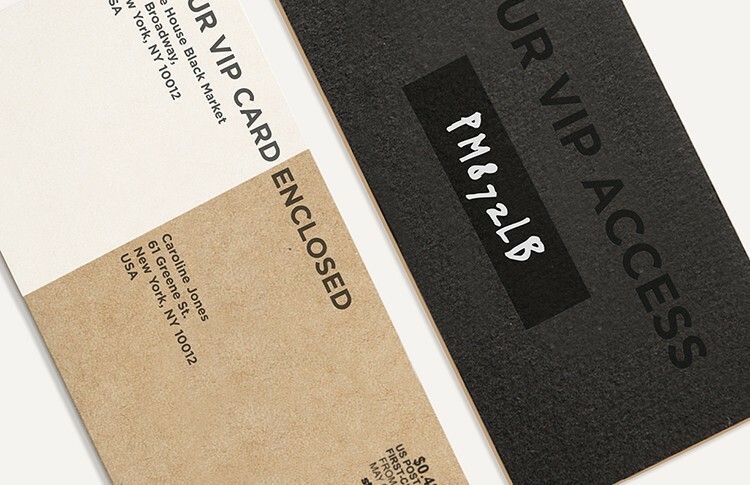 no need to type in the product code, name, or search from the printed catalog pages to the website. 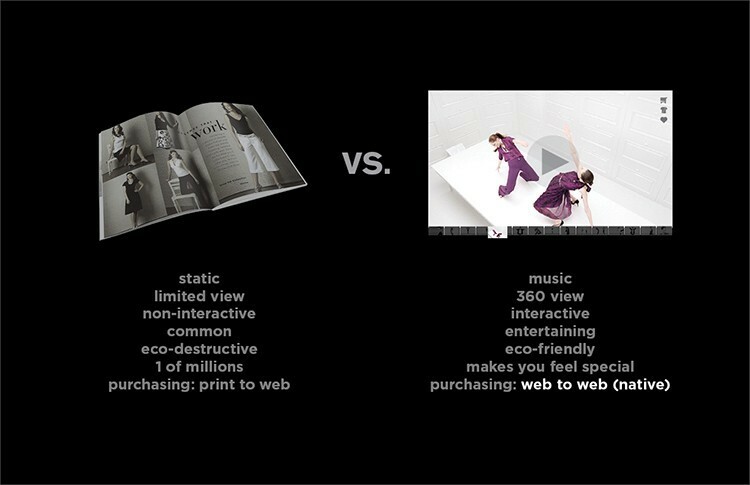 what you want is there in front of you, and just a click away from purchase. the shopping cart icon displays as a pop up window, allowing users to go back to shopping or proceed to check out. additionally, this solution allows for activity tracking and CRM, offering information on cart abandonment rates and re-targeting efforts. this gives a better understanding of each users needs and interests, so relevant offers can be custom created for each user. 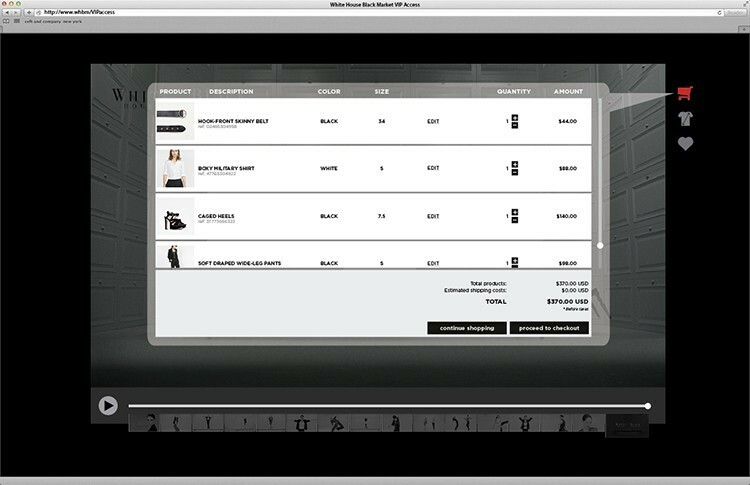 the benefits of this fashion retail website design are clear, and the cost is only a fraction of, a medium to large retailers cost, for printing and shipping of the catalogs. our streamline programming and UI/UX makes for a intuitive consumer interaction, and our impeccable art direction and attention to detail makes this online solution, feel as luxurious of an experience, as any. view all work for white house black market.